INVITE FRIENDS AND WIN A $10,000 SHOPPING SPREE! Enter to win our $10,000 shopping spree by getting five of your friends to sign-up in a month. Plus, each of your friends gets 15% off and you’ll earn $25 in Thrive Cash when they become a paying member. Ready to spread the health? Buy One, Give OneFor each friend that becomes a member, we’ll donate a membership to a low-income family through our Thrive Gives initiative. Join the movement to make healthy living easy and affordable for everyone! What a way to start the day! 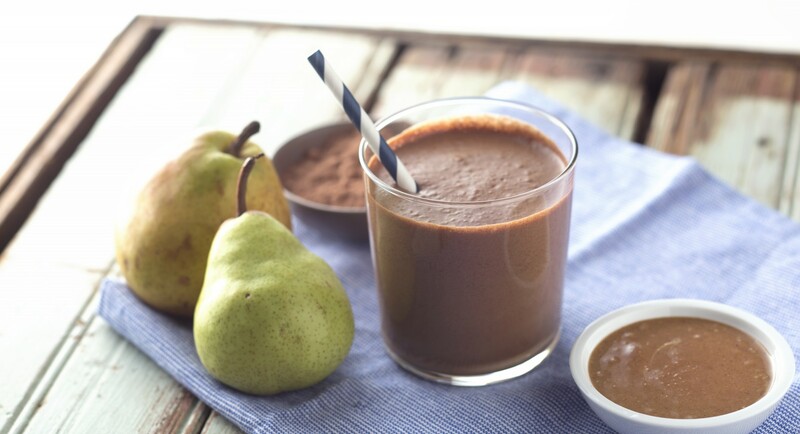 Chocolate Pear Smoothie! Bittersweet chocolate and sweet, fragrant pears are a classic combo, particularly in desserts. Here they come together in an energizing smoothie, alongside protein-packed almond butter and fiber-rich chia seeds. CLICK HERE to become Thrive Market member and eat healthy food at GREAT prices! This week, Consumer Reports continued its crusade against the use of the term “natural” on food labels. 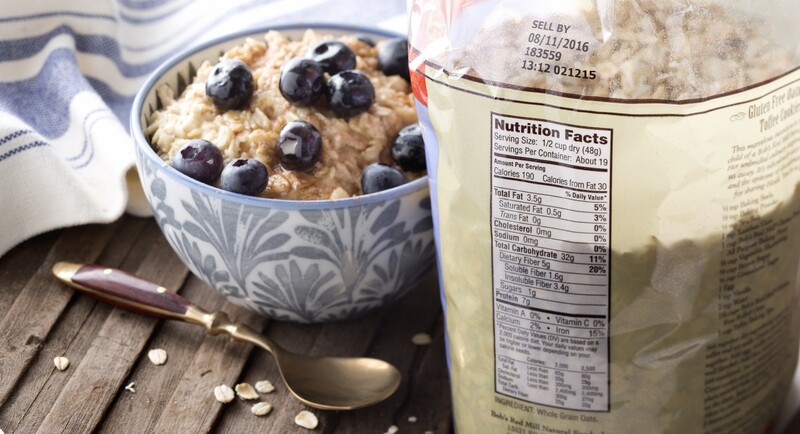 The website and magazine has for several years correctly asserted that “natural” is one of the most misleading and meaningless food labels out there—and yet it’s used on product after product after product. The best way to know for certain that a product is certified organic is the presence of the USDA’s organic label—the gold standard. Before a product can bear it, a government certifier personally inspects the facility, ensuring that no less than 95 percent of ingredients are organic and non-GMO, and that animal products contain no antibiotics or growth hormones. We Thrive to make healthy eating AFFORDABLE! A chance to make a difference and $$ as well! by Beth Kowitt – Fortune Mag. If Costco and Whole Foods had an online baby, it would look something like startup Thrive. A new brand is poised to enter the organic and natural food world, but this one won’t grace the shelves of the likes of Whole Foods WFM 4.57% —the mecca for the non-GMO, the gluten-free, and the Paleo. The new entrant is the private label from Thrive Market, the online natural and organic retailer, which will sell its eponymous brand only on its site. Thrive’s first private label product, coconut oil, launched in November; its second, organic tomato sauce, hit the online marketplace December 30. Thrive co-founder and co-CEO Nick Green told Fortune that the company plans to develop about 100 private label items in the first half of the year. The entry into private label is the latest step for Thrive as it attempts to offer natural and organic goods at the price of the conventional non-organic equivalent. “If we can’t do that with a third-party brand, we’ll do it with private label,” Green says. Thrive prices products to only cover the company’s costs to fulfill and ship, instead making the bulk of its money through a subscription model. The company charges a $60 membership fee, pegged to the cost of a Costco membership. “It’s Whole Foods-type products at Costco-like prices,” Green adds. Green says that Thrive will develop private label in categories where there is not enough margin to cover its cost. That can happen when brands don’t have enough margin themselves to offer Thrive the pricing to match conventional products, goods are heavier and costly to ship, or the product is commoditized and therefore already low margin. As an example, take flour and cider vinegar, which the startup has been selling at a loss to date. Both are low margin and costly to ship because of their weight, but they’re also necessary to carry since they’re staples. Green says both items are at the top of the company’s list to private label. Thrive, with about 150,000 members and about 20,000 new paying members a month, is approaching a $100 million run rate after launching the site at the end of 2014. “We can’t scale the infrastructure fast enough to service the demand,” Green says. Every order over $50 receives free shipping, with 90% of the company’s orders hitting that threshold. With what Green calls a “hyper-curated catalog,” the Thrive model also has a little bit of Trader Joe’s thrown in, too. Thrive picks the top three or four brands (think Seventh Generation and Justin’s) in a product category rather than offering 40 choices. As a result, it carries 4,000 SKUs versus some 30,000 to 40,000 for a typical grocery store. Green notes that Thrive is now one of the top-five sales channels for most the brands it carries. There’s no shortage of startups vying for share of stomach in the food delivery space. But while most of the competition focuses on delivering fresh goods, Thrive sells only non-perishables. Those products that makes up the center of the grocery store that go in the cupboard or medicine cabinet make up about half of a typical grocery bill, Green notes. Focusing on non-perishables, he explains, simplifies the supply chain because they can be shipped anywhere in the country through an existing service like FedEx or UPS. They also don’t spoil. But Green contends that there will always be packaged goods. They’ll just take a different form. “The dry goods are going to look less processed food and more like natural foods,” he says, pointing to mixed nuts as an example. “The backlash is toward more chemically laden, scientifically produced mass-agro business consumer packaged goods” that are behind the obesity epidemic, he says. Packaged goods might not disappear, but Green predicts that in 10 years time they’ll have evaporated from the center of the grocery store in the same way consumers now buy their books online rather than in brick and mortar stores. Thriving to make healthy living easy and affordable for everyone! Thrive Market offers something for anyone and everyone who want to eat healthier and live well. Thrive has a really nice, curated mix of products to choose from that are the best-in-class of organic, non- GMO, vegan, raw, paleo and gluten free. However you like to shop, you can find exactly what you’re looking for. Trust me, I know how this goes — I’ve been that person in shock at checkout. A small bag of jerky shouldn’t cost 7 times the cost of french fries – and luckily I’ve discovered a new online marketplace that combats this trend. Thrive Market, a recently launched website, sells the wholesome, healthy food I love at wholesale prices everyone can afford. The company’s merchandising team works directly with brands to purchase natural, healthy foods and products at wholesale prices. These prices are typically 25 to 50 percent lower than what the same products sell for in brick and mortar stores, and even traditional online retailers. I know I’ve found some amazing deals on Thrive Market — like this Nutiva coconut oil that I saved more than $6 on! Instead of adding on the typical retail markup, Thrive Market passes the savings on to their customers. All of the products Thrive Market offers are sold at true wholesale prices. They’re really looking out for the average shopper! These products aren’t sub-par or knockoff brands, either — Thrive Market carries many of the same brands I shop for at the natural foods store in my neighborhood. You can find products to fit your needs on the site and they have a robust Paleo and grain-free section, to boot. The site includes the option to “shop by” specific dietary needs and certifications. You can filter the catalog by values including certified organic, non-GMO, hypoallergenic, raw and many more. Thrive Market offers something for anyone and everyone who want to eat healthier and live well.Thrive has a really nice, curated mix of products to choose from that are the best-in-class of organic, non- GMO, vegan, raw, paleo and gluten free. However you like to shop, you can find exactly what you’re looking for. Ah, those days of joy when we could load up on candy and sweets and never concern ourselves with what the scale read! To continue this game of remember when…, which one was you favorite of all time? Soup’s on…and so is GMO label! The fight over genetically modified food, or GMOs, has long resembled battles on the Western Front in World War I. Pro-GMO and anti-GMO forces have aimed plenty of heavy artillery at each other, but neither well-entrenched side has given much ground. In a letter to the company’s employees, posted on Campbell’s website, Campbell’s CEO Denise Morrison wrote that the company was responding to the desires of consumers, but it also wanted to avoid multiple and conflicting demands for GMO labeling by individual states. 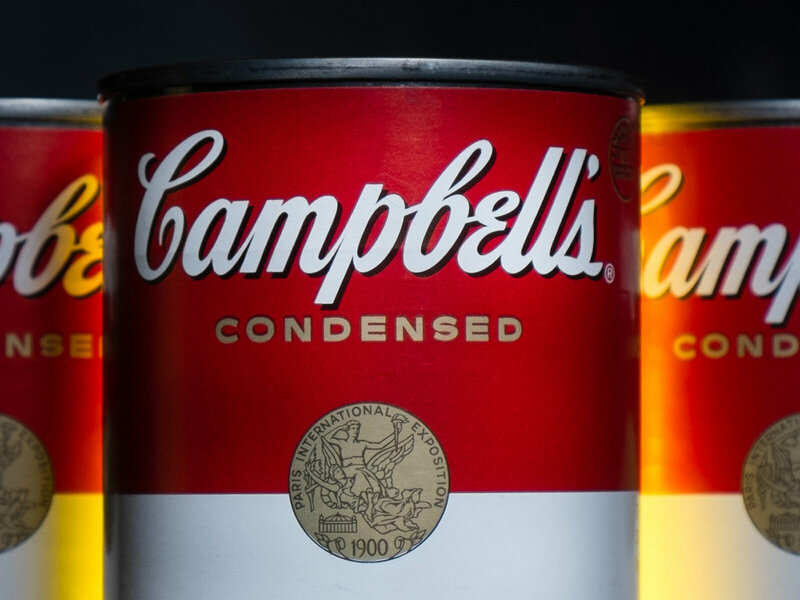 “Printing a clear and simple statement on the label is the best solution for consumers and for Campbell,” Morrison wrote. Proponents of a labeling law, including the Environmental Working Group, the Just Label It campaign and US Right to Know, praised Campbell’s move. Most of the food industry, along with the FDA, has opposed mandatory labeling of GMOs. The FDA says that there’s no reason to require such labels because current GMO ingredients are identical, nutritionally, to conventional ingredients. In fact, if consumers react to it as a warning to avoid such ingredients, it would actually be misleading. The food industry’s opposition to GMO labels has partly been based on this fear that some people would avoid products with a GMO label. This assumption about consumer behavior has rarely been tested, and Campbell’s may be betting that most consumers of Campbell’s soups, Pepperidge Farms baked goods and Prego pasta sauces may not actually react to a GMO label. The company says that even if the government doesn’t require GMO labels, it will go ahead and label its products anyway. And this week’s totally irrelevant question is?…. C’mon admit it – At some point in your life, you’ve run around the house in a cape, or at least thought about doing it. Don’t worry. No judgment here. There’s just something fascinating about superheroes that captures the imaginations of young and old alike. It’s fun to envision how different life would be if we developed superpowers of our own. So here’s your chance to be any superhero you want to be…and you choose? 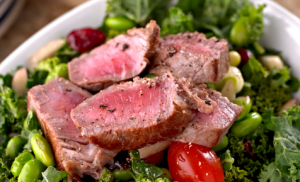 The Paleo diet is a diet that you might want to try if your goal or resolution is to lose weight in the New Year. The Paleo diet is a diet that basically says you should be eating like the cavemen from many years ago, which means eating a lot of fish, meat, and vegetables similar to hunter-gatherers. 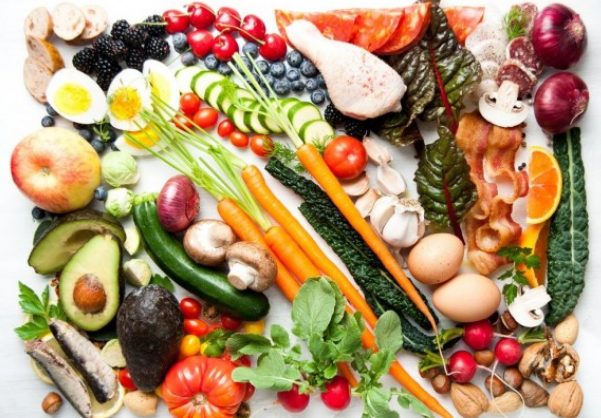 While there are many facts out there about the Paleo diet that you might know about, you probably don’t know some of the lesser known facts about this trendy diet. Today we are going to talk about some of these lesser known facts of the Paleo diet, which might help you determine whether this is a diet you want to try to help you get into shape and lose weight. Paleo Diet Has Research Supporting It- While there are some diets out there that are just trendy with little research to back them up, the Paleo diet has quite a bit of supported research to back up the benefits. There have been quite a few studies that have shown the Paleo diet helps lower the risk associated with some autoimmune diseases as well as lowers the risk of obesity, high blood pressure, diabetes, metabolic syndrome, and high cholesterol. Even more impressive is that there are studies that show even following the diet for just two weeks can significantly improve your health when it comes to lessening the characteristics of metabolic syndrome. Metabolic syndrome is linked to an increased risk for heart disease and is also related to weight gain. Of course as with any diet, there is always evidence and studies to say the exact opposite depending on who or what is funding said study. This means it is up to you whether you believe the studies or the group that funded the studies. Paleo Diet Was Created in the 1970’s– While a lot of people get their ideas of the Paleo diet from the cavemen and attribute the diet ideas to Dr. Loren Cordain back in 2002, this is simply not true. The first Paleo diet ideas are traced back to Walter Voegtlin who was a gastroenterologist and that dates back into the 1970’s. There were two other researchers back then who also picked up on what Voegtlin was talking about, who were Melvin Konner and Stanley Boyd Eaton. The only reason why Cordain gets credit is that the Paleo diet was more scientifically backed up by this doctor and it became more mainstream after he began writing many books on the subject, with the main book being back in 2002. The Paleo Diet Comes in Many Forms– When people first think or hear about the Paleo diet, they might assume that this diet just is one basic principle or theory, but that is not really true either. If you go back to the Paleolithic era in time, this was a time that lasted for millions of years. Way back then, people were able to get food through fishing, hunting, and gathering wild plants. They then would use various homemade items and bones in order to scrape and collect as much as possible from the surrounding environments. If you think about the products available back then in terms of food, it all varied depending on the season, modernization of the people, and the location of the people. This means there was and is not just a specific type of food that the Paleo diet is based on or from because it all varied depending on several factors in time, including which time frame is being talked about. Farming was not established until around 10,000 years ago, which then meant that the livestock, trading and planting of vegetables was not really around until that point. Up until then, hunting was one of the major ways people got their foods. Some people follow the more modernized meal plan which includes the things that came later on, while others choose to follow the more basic old school type of diet.